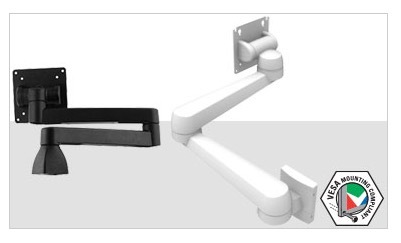 Southco has expanded its AV Display Mount offering with the heavy duty D40 Series, which includes a Tilt and Swivel Mount (K Series), a Tilt, Swivel and Single Arm (A Series) and a Dual Extension Arm (D Series). The AV-D40 Series provides robust operation and holds larger, heavier displays securely in place during touchscreen operation, under vibration, and when devices are mounted on uneven or unbalanced surfaces. Learn more about Southco’s AV-D40 Display Mounts Want to learn more about Southco’s products and how they can help you? Use our Contact Form to reach us! Be the first to hear about Southco’s new products, innovative application solutions and access hardware design tips from our experts. Comments and feedback are always welcome, so what are you waiting for?Join us on the Southco blog now » Would you like us to send you a Southco Handbook or other information about this type of product? Use our CONTACT FORM to reach us! Southco’s AV-D30-7K Tilt and Swivel Display Mount (K Series) offers exclusive tilt and swivel functionality, allowing it to be tilted at various angles with minimal operating effort. The K Series facilitates reliable, precise display positioning that prevents drift, with precision joints holding the mount in place. Once positioned, the display remains secure, without additional tightening, loosening or service. Additionally, a range of motion stops provide added flexibility and a tested, repeatable cycle life ensures reliable long-term use. Do you have a display that currently uses or requires a tilt/swivel mechanism? Are you considering using such a device? Use our Contact Form to tell us about your application, and send us one of your displays. We’ll mount it on the right mechanism and send it back to you for review! How’s that for a test drive? 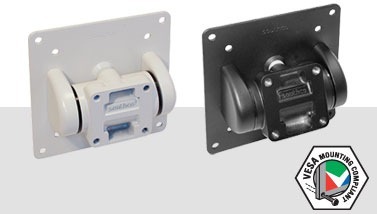 For more information about Southco’s display mounts (there are lots of them!) use our Contact Form to reach us. We’re here to help! Did you know we have Clamping Levers? 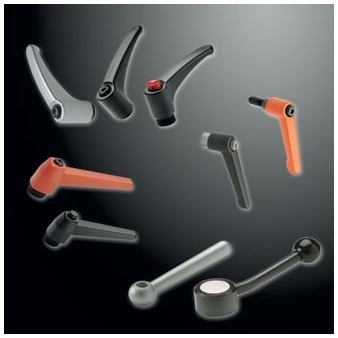 We offer a range of sizes, materials, and options to suit almost any application where adjustable clamping is required. Want to know more? Use our Contact Form! We’ll be happy to help you pick the right lever for the job. New Display Mount Series Ensures Precision Tilt for Operator Comfort Southco’s new AV-D30 Tilt Display Mount (T Series) enables operators to easily adjust a display tilt angle for optimal comfort. Designed with a fully enclosed counterbalance spring that delivers effortless positioning and ease of cleaning, the T Series features proven integrated technology that eliminates the need for constant maintenance and readjustment. The T Series joins the A Series (Tilt, Swivel and Swing Arm) and K Series (Tilt and Swivel Mount) in offering Southco’s unique positioning technology, repeatable operating efforts and compatibility with a wide range of industry applications – from liquid crystal display (LCD) control panels to cab interiors and seating. Want to learn more about the reliable AV-D30 Tilt Display Mount? Use our Contact Form!